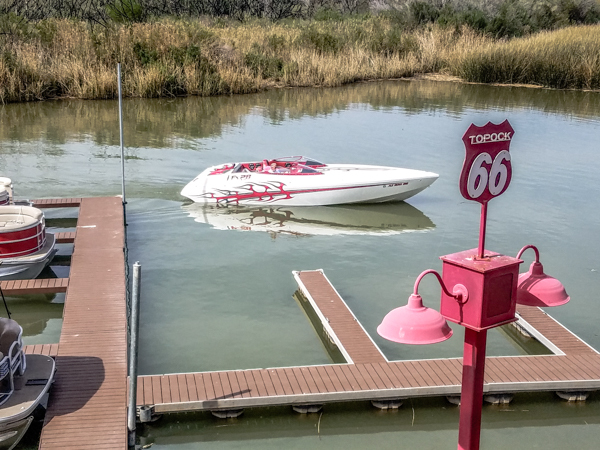 While in Lake Havasu, a nearby scenic stretch of historic Route 66 beckons to us. 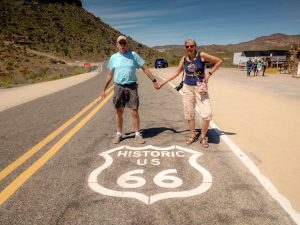 In addition to the breathtaking natural scenery along this lonely road, we also discover a number of interesting man-made sights. 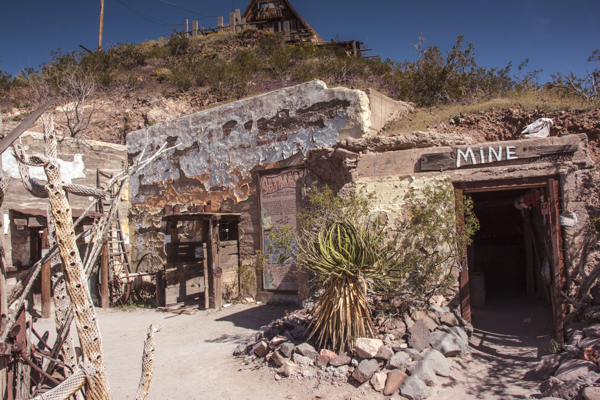 Most importantly this run takes us through downtown Oatman, AZ where we hope to see the famous wild burros roaming the streets. 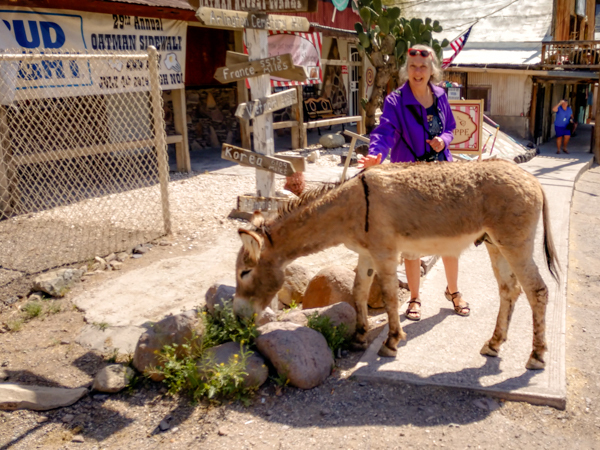 Like the burros, we wander the streets of Oatman for a bit. 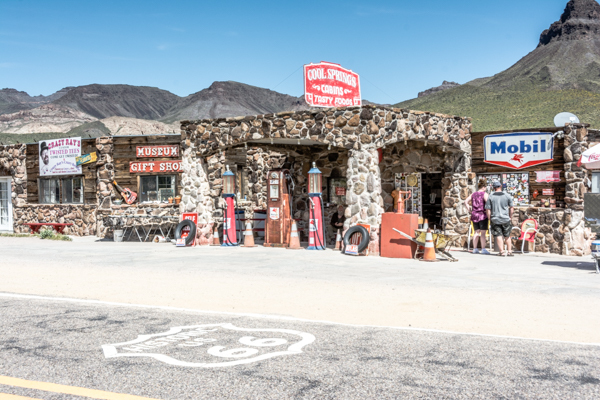 Heading north out of Oatman, the road is motorcycle twisty overlooking slopes of golden blossoms. 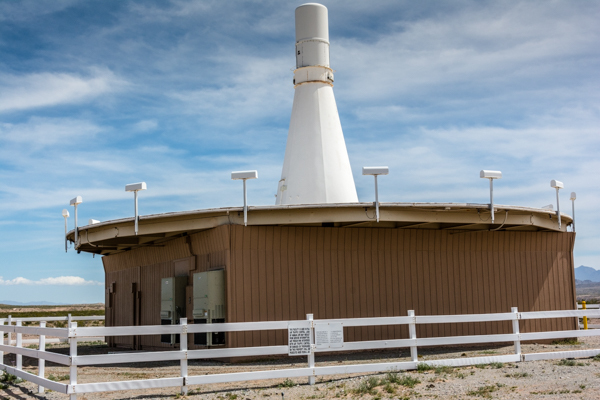 As we return to lunch at Topock on the Colorado River, we pass the Needles Airport VOR (EED) broadcasting navigational information from nearly the edge of the road. To clarify our location, Peanuts fans will remember that Needles is the home of Snoopy’s brother Spike. A fact much proclaimed on billboards along the section of interstate through Needles. 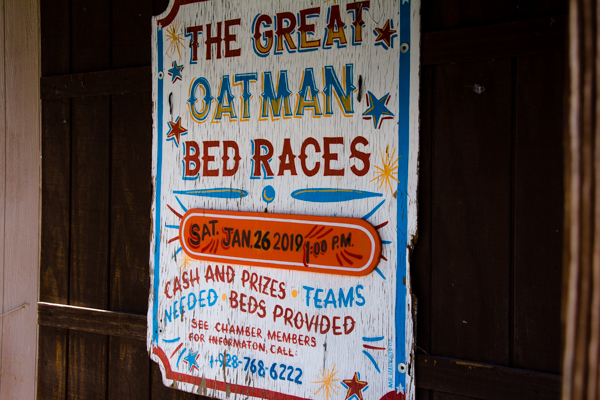 In addtion to the famous wild burros, Oatman seems to host a number of unusual festivities. The posters above make me wish we had timed our visit differently. 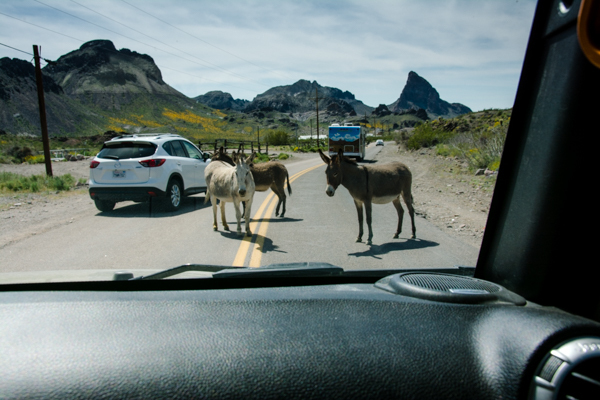 In Oatman, burros have the right of way and they know it! 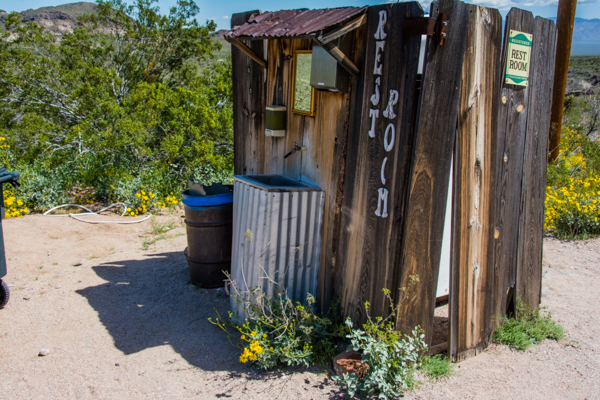 I love a creative outdoor pit toilet! I've flown over them, seen them from a distance, but this VOR (EED) is on the roadside. Love how you all are gettin ‘ around! 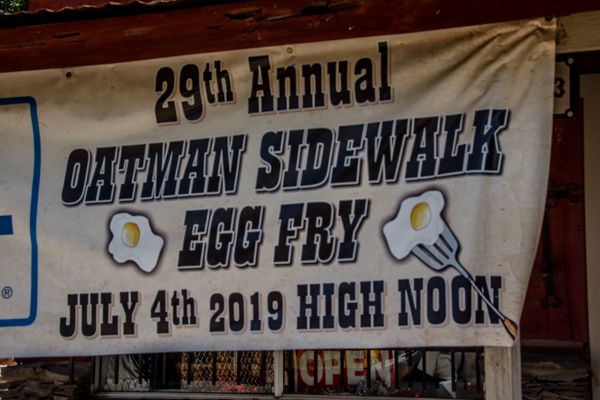 I was thinking of you guys the whole time we were in Oatman. Thanks for the heads up on the burros! You are right, some of the route is hard to find. 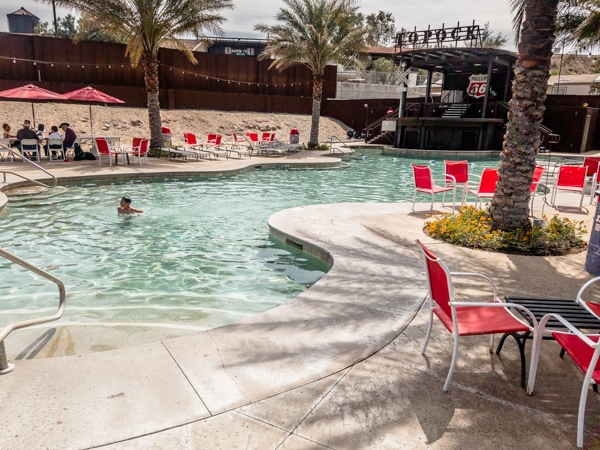 I think it is easier the further west that you go where it has less competition. Hope you and Sandy get to see the ponies!! 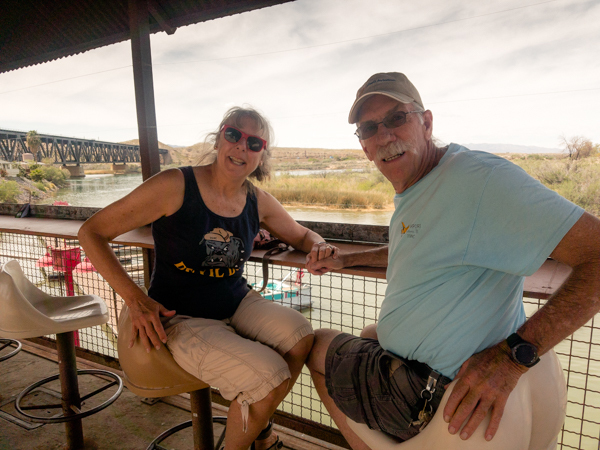 I miss Ocracoke – give it a hug for me! !